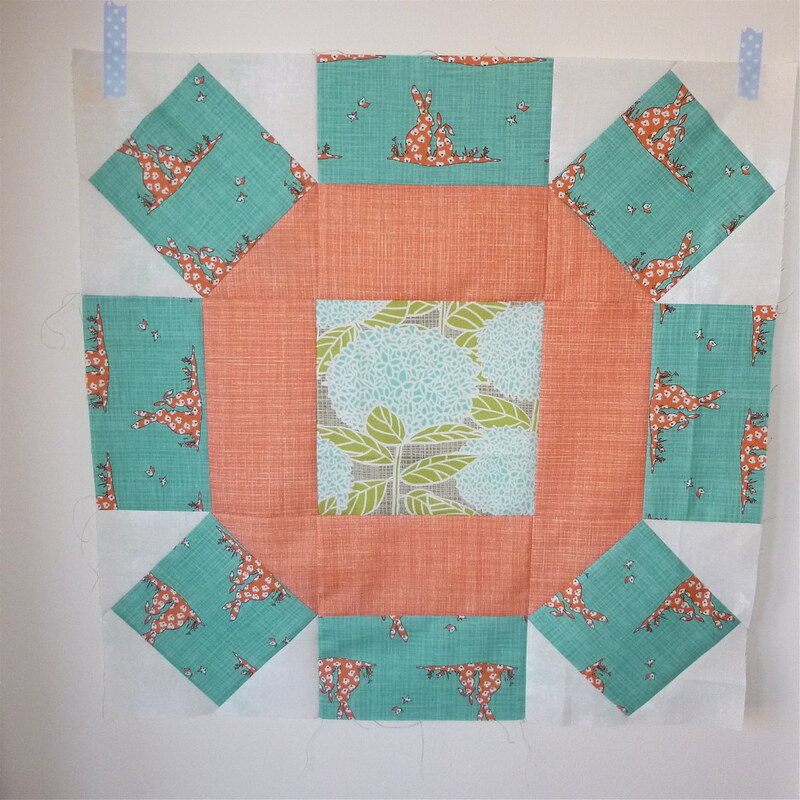 This month we were asked by Jen to make a Giant Broken Wheel block – finishing at 18.5″ – using the lovely Bluebird Park fabric. Two months of bunnies in a row, anyone would think it’s nearly Easter! It’s a child free day tomorrow so the quilting can commence! Todays sky ● very changeable! Grey and raining to glorious blue and sunshine!